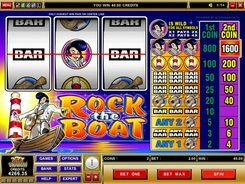 Rock the Boat is a 3-reel slot with its theme based around music and the King of Rock and Roll. Single, double and triple bars are the only classical symbols used in the slot. The other icons are a guitar, a lighthouse (apparently a homage to the King’s song of the same name), and Elvis himself. 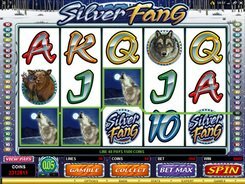 The slot features a single payline that accepts one or two coins of a configurable value of $0.25 to $5. The Guitar is the lowest-paying symbol awarding a maximum of 40 coins. 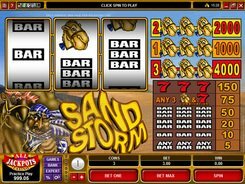 You will win 3 to 100 coins for hitting three identical bars or three mixed bars across the payline (for example, 1 double bar plus 2 triple bars). The best paying symbol is Elvis, as you might guess. If you hit three Elvis symbols, you scoop the top prize of $8000 from a 2-coin bet. 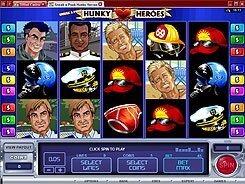 Besides, Elvis serves as a wild symbol that replaces for all other symbols to complete a winning combo, and doubles or quadruples the payout when used as a substitute. 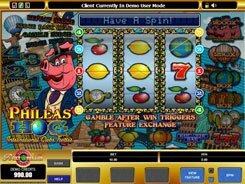 The slot will appeal to fans of elegant Vegas-style simplicity and, sure, to all Elvis fans.